Twitter is a beautiful thing. Between the memes people make and the new character limit (280! ), it’s one of the best social media platforms to use. And it just got better. This week, Twitter introduced a bookmark feature that will let you save tweets you want to come back to. But people are wondering how to use Twitter’s Bookmarks? It’s actually really, really simple. Twitter rolled out the new feature on Wednesday, February 28th, along with the ability to direct message tweets, and send them via email and text message. 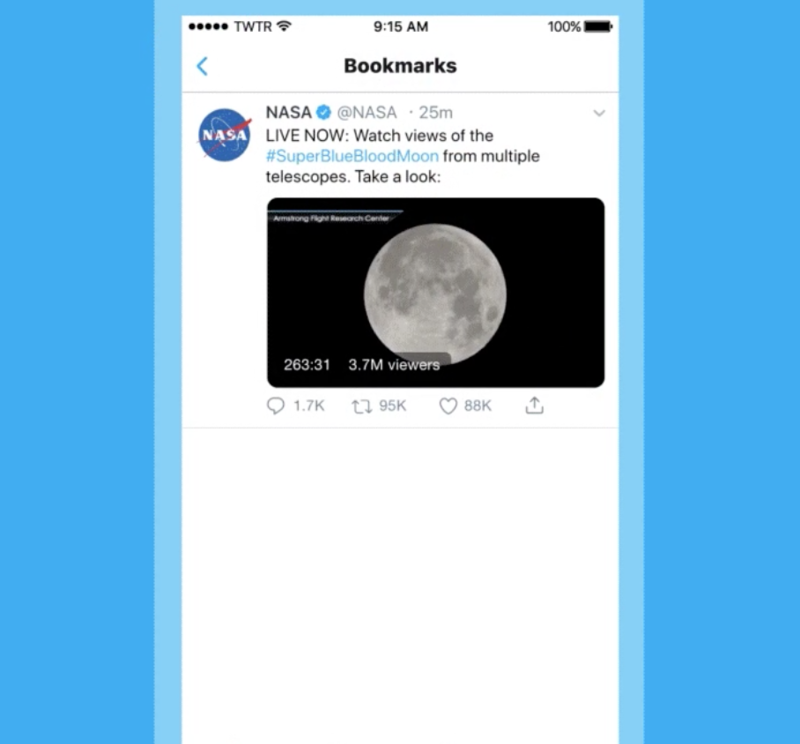 All you have to do to bookmark a tweet is click on the share icon underneath the tweet, select the option that says “Add to bookmarks,” and you’re done! When you want to access your saved tweets, just click on your profile photo in the upper-left corner, and that’ll take you to a screen where you can select to view them. Seriously — that’s it. That’s all you need to know. By the way, if you haven’t already, you may need to update your app before you can use these new functions. So now, if you don’t feel like “liking” a tweet to save it for later or taking a screenshot, bookmarking is definitely an option. Now, all we need is for Twitter to give us the ability to enable an editing function on tweets, so we don’t have to delete them every time we make a typo. Then we’ll be all set. If you need us, we’ll be bookmarking away. Next time somebody posts a thread with all the documentaries we need to catch on Netflix, it’ll be easy to access anytime we want something new to watch. Hey, thanks Twitter.